A stunning new plant for late Winter and Spring colour. 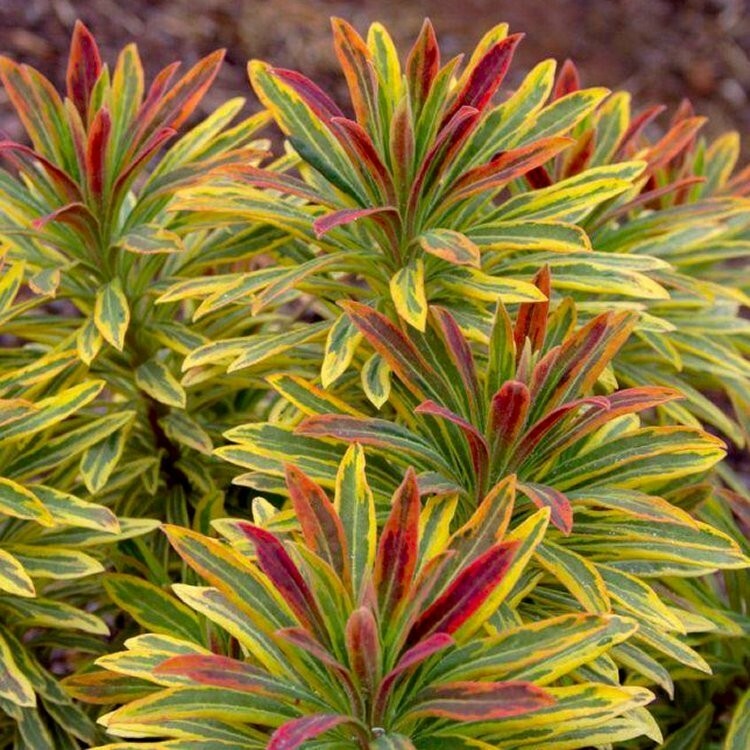 Euphorbia Ascot Rainbow forms a neat, evergreen clump of slender blue green leaves, edged creamy yellow, flushed with red in cold weather. Later on, spikes of cream, lime and green flowers open. Eventual height and spread is around 50-60cms. 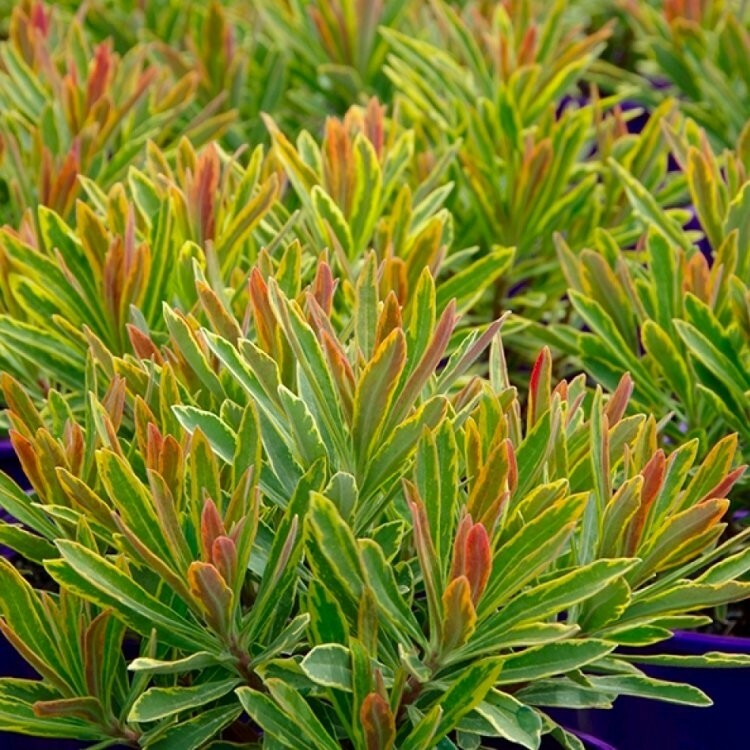 This colourful Euphorbia does best when planted in well drained soil in a sunny position. It is also good for Winter containers. Supplied in approx 2 litre containers.